And a kufiya covering his head. Before breaking the Challah you prize. Where ever he travels so far. Because you see, they are Jews. Our parents taught us before. Precious for the rest of our days. The ritual washing of the hands and feet is a traditional part of Jewish lore. 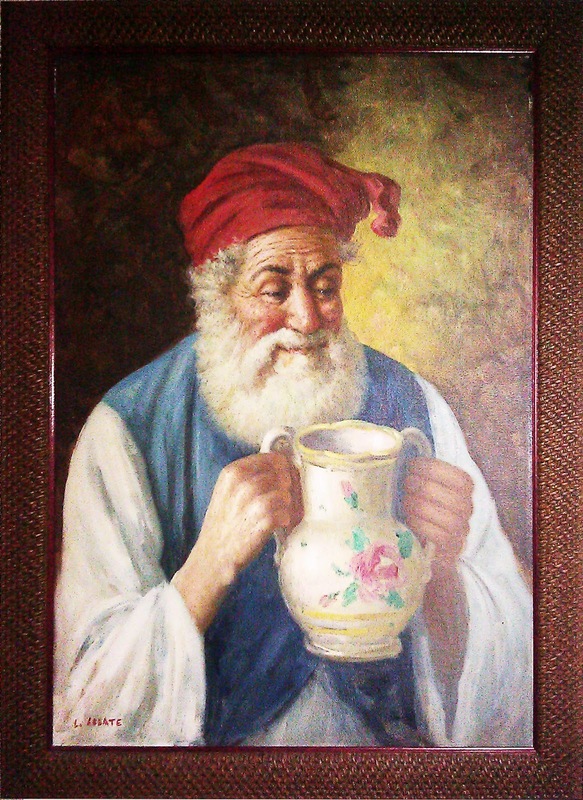 Here is the result of seeing the painting of a ritual water jug at my friend Martin Horwitz’s home. The custom of ritual hand-washing, netilat yadayim, is commonly observed within Orthodox Judaism. There is a reason for the two-handled washing cup used for ritual hand-washing. After the first hand is washed, it is clean and pure. The unwashed hand, however, is not. If the two hands touch after the first hand was washed, it is necessary to rewash the first one. We use a two-handled cup to make the process simpler, making it easier to avoid the hands touching each other.